Psoriasis results from a too-rapid cell turnover, but its exact cause is still unclear. However, genetics, arthritic tendencies, food allergies, stress and long-standing infections are all thought to be triggers. Psoriasis is estimated to affect at least 2% of the global population and can occur at any age, but is most common in those between 20 and 30..
Psoriasis usually occurs all over your body, most commonly on the elbows and knees. When found on the scalp, psoriasis can be severe, causing very adherent scales and underlying redness. Itching of the scalp can occur, but this is strangely not always the case. Psoriasis usually does not cause large amounts of hair loss. However, if the scaling on your scalp is very tight, your hairs’ diameter may change and there can be breakage. 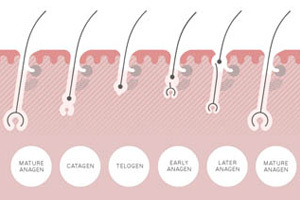 Psoriasis is often confused with another severe scalp condition, pityriasis amientacea, a scaling of the scalp which causes distinct hair loss. Treatment of psoriasis depends on the severity of the condition. Mild cases can usually be cleared with the use of prescription creams and tar-based shampoos. However, treatment of more severe psoriasis needs care and patience. Removal of the scales is time-consuming and has to be done gently in order to avoid damage. 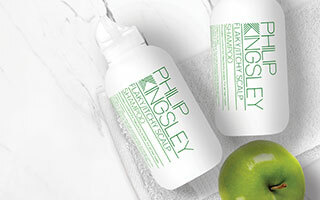 At Philip Kingsley Trichological Clinic we soften and then remove the scales (using specially formulated creams) under a warm steamer and infrared lamps. Such treatments can give considerable relief, but repeat treatments are almost always necessary. Treatment with ultraviolet light can also help, in fact, psoriasis often improves on its own during the summer months when you are exposed to more UV rays. 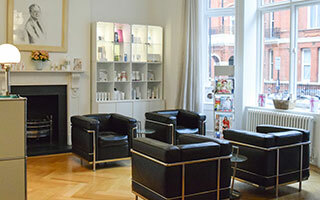 If you're suffering from Psoriasis our clinics based in London and New York specialise in hair and scalp issues.